An interesting and comprehensive paper, Dynamics and resilience of rangelands and pastoral peoples around the globe, was recently published in the Annual Review of Environment and Resources, Vol. 39: 217-242 (Oct 2014), DOI: 10.1146/annurev-environ-020713-163329. The lead author of the paper is Robin Reid, an ecologist and rangelands expert formerly with the International Livestock Research Institute (ILRI), in Nairobi, Kenya, and now director of the Center for Collaborative Conservation at Colorado State University, in Fort Collins, Colorado. The other authors are Reid’s Colorado colleagues María Fernández-Giménez, of the Department of Forest and Rangeland Stewardship, and Kathleen Galvin, of the Natural Resource Ecology Laboratory and the Department of Anthropology and director of the university’s Africa Center. Rangelands—primarily native grasslands, shrublands, savannas, and marshes grazed by wildlife and livestock cover more of Earth’s land surface (25–45%, depending on how these lands are defined) than any other type of land. Where rangelands are warm and dry (60% of rangelands), pastoralists and their herds inhabit the drier parts of rangelands; where rangelands are cold (16% of rangelands), grazers use the warmer and wetter places. 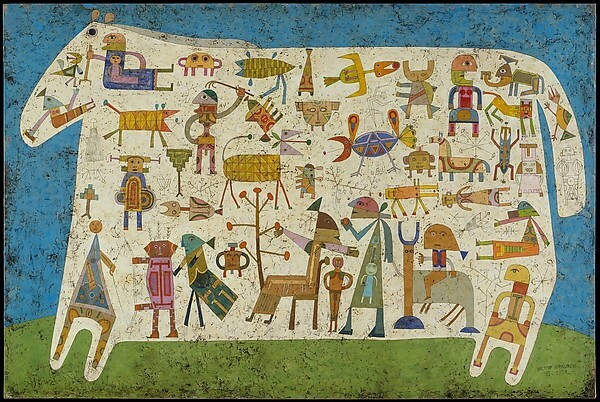 Herding people (or pastoralists) hold diverse flocks of livestock, usually cattle, sheep, and goats, ranging from reindeer in the north to alpaca in the south. Herders share the more thinly populated grazing lands with a much wider variety of wild grazers and browsers, from elephants to kangaroos to bison. Rangelands, whether warm or cold, share basic features: They have variable and often harsh climates, are sparsely populated and remote from markets, produce significant livestock, and are mostly used and managed in common. About 91% of global rangelands are open . . . with few landscape boundaries (e.g., fences) and have limited crop agriculture. . . . Although only 3% of the world’s people live in open or extensive rangelands, 35% of the world’s sheep, 23% of the goats, and 16% of the cattle and water buffalo graze here. Two-thirds of global rangelands are in Asia (36%) and Africa (30%), where most rangelands are used in common. Under this already unpredictable and harsh climate, pastoral peoples and rangelands face new and accelerating political, economic, and climatic stresses that challenge their coupled resilience and ability to adapt. In response, pastoralists are creating new ways to manage rangelands through conservancies and community-based institutions on state, common, and private land. . . .
As they cope with an already unpredictable and harsh environment, pastoral peoples face new and accelerating political, economic, and climatic stresses that challenge their resilience and ability to adapt. 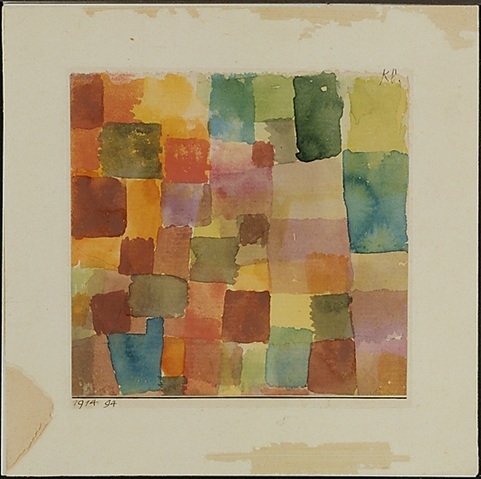 Paul Klee, abstract (via Metropolitan Museum of Art). More than most regions, rangelands are susceptible to myth-making, for which this paper serves as a tonic corrective. Here are just a few of the misconceptions the paper serves to rectify. Most rangelands are greener today than they were 30 years ago. One cause may be fertilization by increased concentration of atmospheric CO2, which improves vegetation production and plant water use. Another may be the spread of shrubs — increased CO2 favors the growth of shrubs, trees, and forbs over grasses. A third possibility, particularly in the African drylands, is tree planting around settlements. Some greening may be rainfall related, but most is not. Clearly, processes promoting global greening outweigh those that promote browning, like degradation caused by livestock. In the past, we assumed that most rangelands used in common by herders were overgrazed and degraded. Now we understand that many drier rangelands have nonequilibrium dynamics, where climate has more impact on vegetation than grazing does (but these rangelands can still be overgrazed). Globally, many rangelands are shifting from grass- to shrub- or tree-dominated ecosystems, which we attributed to livestock grazing in the past. Today, there is no universally accepted explanation of those changes. In the past, pastoralism was thought to be the root cause of the spread of deserts, especially in Africa. But recent evidence suggests that pastoralists sometimes promote greening by planting or conserving trees and that land degradation is not a widespread phenomenon, at least in Africa’s Sahel. We now know that pastoralism evolved from crop agriculture in many parts of the world, rather than vice versa. It is clear that pastoralism is one of the most efficient ways to turn sunlight into food in marginal lands. Today it is understood that pastoralists holding large herds is a sound way to manage the risk of livestock loss in the face of recurrent dry seasons, drought, and winter storms. High labor inputs and opportunistic grazing over large landscapes gives common land pastoralists the edge in production per unit area over commercial enterprises. In Queensland, Australia, pastoralists are consolidating properties through land purchases to increase the scale of their livestock enterprises, which allows them to spread climatic risk. In newly private lands in Kenya, pastoralists are using new institutions to unify the fragmented landscape through cooperative arrangements. In Africa, expanding farms damage species with large home ranges (African wild dogs), slow reproductive rates (elephants), and lower population sizes (black rhinos). However, the opposite occurs for small animals in Ethiopia, where rangelands with scattered farms support more species of plants, birds, and butterflies than rangelands with no farms. In east Africa, some wildlife prefer to graze in the short grass around pastoral settlements, so pastoral lands may have an unexpected role in conservation. And there is some evidence that removing pastoralists to create protected areas actually increases wildlife poaching. The wildebeest migration out of Nairobi National Park nearly stopped in 2002, caused by fencing and poaching in their dispersal areas in rangelands around the park. In Kenya, pastoralists are collaborating across newly privatized lands by creating institutions that control use, such as conservancies and grazing associations. What is judged degradation can change depending on one’s perspective. A pastoralist might see exclusion of livestock from parks as degradation of grazing land, but a conservationist might consider this aggradation of wildlife habitat. Global losses of vegetative production because of soil degradation in drylands may be as little as 5%. Globally, the maximum annual leaf area index in drylands increased over the past 30 years, suggesting better pasture productivity. In the Sahel of west Africa, rain-use efficiency of dryland vegetation increased from 1982 to 2010, showing no sustained degradation caused by livestock. It is difficult to measure degradation well, and thus it is rarely done. 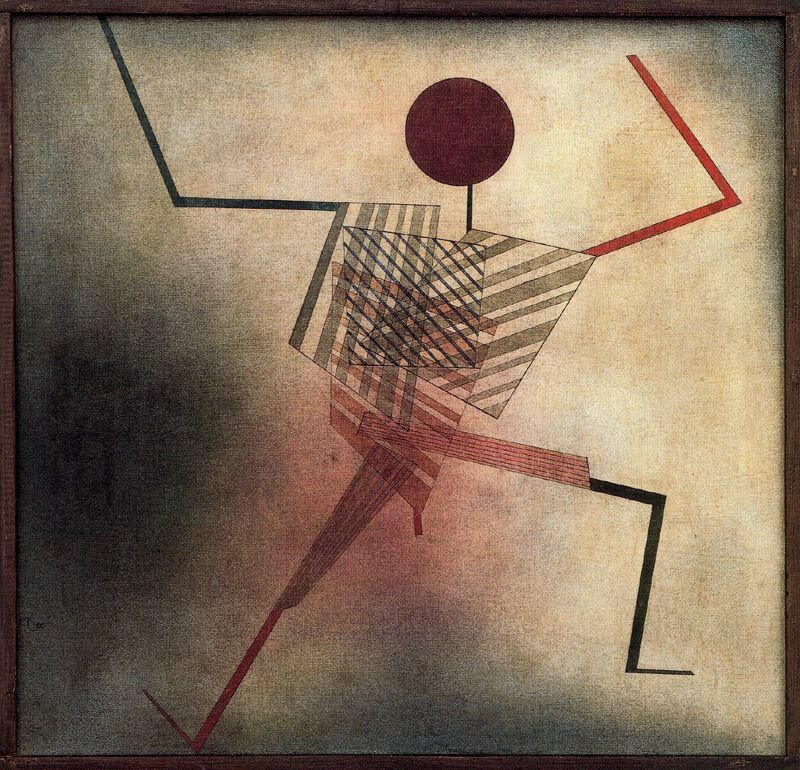 Paul Klee, The Jumper, 1930. The authors argue the following. Recent innovations in institutions are critical to developing social, economic and ecological resilience in rangeland social-ecological systems in the face of recent rapid change. These innovations include refinement of community-based institutions and experimentation with market-based institutions as well as better integration of indigenous and scientific knowledge and reorientation of science to support pastoral needs. The shimmer has worn off, but community-based rangeland management remains one of the most promising alternatives for achieving socially just, economically viable, and environmentally sustainable management of rangelands and the biodiversity they support. Science that starts, continues, and ends with the linked needs of pastoralists and rangelands will be more relevant, legitimate, and credible to diverse stakeholders. This varies from citizen science approaches, where the public participates in data collection, to coresearch partnerships, where diverse stakeholders are part of the entire science process from question generation to data interpretation. Recent learning and experimentation with both community- and market-based institutions are moving us closer to achieving socially just, economically viable, and environmentally sustainable management of rangelands and the biodiversity they support. Challenges remain, particularly how to ensure that new institutions share benefits equitably, how to manage and monitor spatially extensive systems that often require herd mobility across scales, and how to determine the environmental returns of investing in conservation stewardship practices. 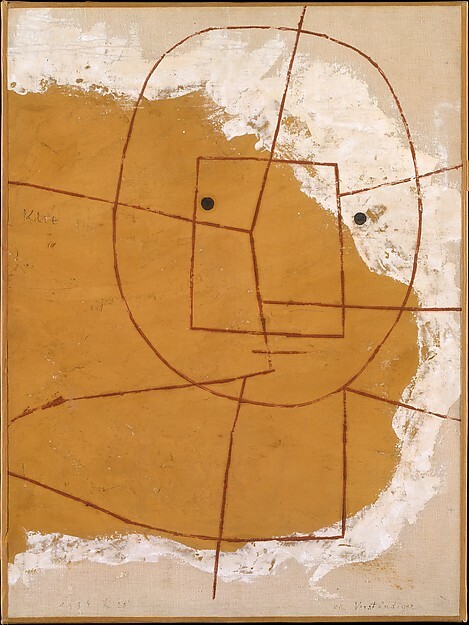 Paul Klee, The One Who Understands, 1939 (via Metropolitan Museum of Art). And they end by asking questions. What will rangelands look like in the future? Will they replace drying cropland, be full of windmills, be empty of people, or be in some other configuration/combination? Read the whole paper (it’s very good): Dynamics and resilience of rangelands and pastoral peoples around the globe, by Robin S Reid, María E Fernández-Giménez and Kathleen A Galvin, Annual Review of Environment and Resources, Vol. 39: 217-242 (Oct 2014), DOI: 10.1146/annurev-environ-020713-163329. This viewing is for your one-time, personal, use. Any further/multiple distribution, publication, or commercial usage of this copyrighted material requires submission of a permission request addressed to the Copyright Clearance Center (http://www.copyright.com/). This effort was supported in part by funding from the Center for Collaborative Conservation at Colorado State University and a grant from the US National Science Foundation. Tags: Colorado State University, Kathleen Galvin, María Fernández-Giménez, Rangelands, Robin Reid, US National Science Foundation. Bookmark the permalink. ILRI, who were one of our sponsors in a previous series, provide an insight into pastoral farming, much of which happens in Kenya.